Barnsley have extended the loan of striker George Waring from Premier League side Stoke City until the end of the season. The 20-year-old joined the Tykes in January on a one-month loan and netted against Yeovil on his debut. 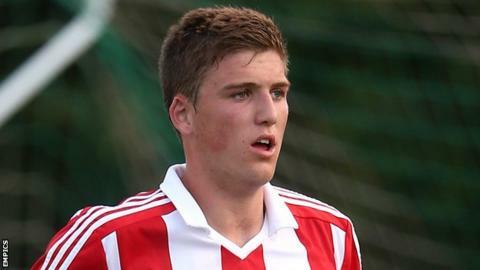 Waring, who has not made a first-team appearance for Stoke, will now stay at Oakwell for the rest of the campaign. "I've certainly learned things that I need to work on to make me a better player," Waring told the club website. "I've enjoyed the last month so far and I can hopefully keep myself in the team, learning things to take back with me at the end of the season."